The use of supports like cervical pillow, cervical collars and neck braces is fairly common among people with neck pain. Such orthoses function by holding the wearer’s head in a particular position, while relieving the strain from the neck, thus playing a role in the conservative management of neck pain. We have often seen neck pain patients (across different physiotherapy clinics), enquire about such cervical orthoses. Those dealing with cervical spondylosis, neck arthritis or cervical osteoarthritis may find immediate relief with neck collars and eventually become dependent on them. Sometime patients may have to use these in cases of acute or repetitive neck injuries like whiplash or chronic stresses and strains. However, the use of these is contested. ReLiva Physiotherapists attempt at answering these frequently asked questions about neck supports (including cervical pillow and neck collars) with a comprehensive list of orthoses available, their usage and when and to what extent they can help. There are two stages of the treatment for De Quervain’s syndrome or De Quervains tenosynovitis. 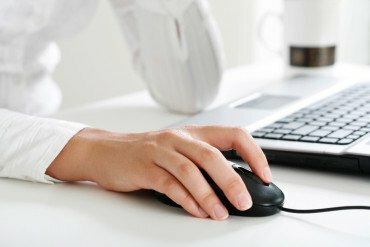 It is a painful condition affecting the tendons on the thumb side of your wrist. In case of acute stage, when there is inflammation the goal is reduction in inflammation and preserving movements. Subsequently, once the inflammation subsides the goal is improvement in function. Splint to support the thumb and the wrist and which provides support and helps healing procedure. Therapeutic Ultrasound (i.e. phonophoresis) or electrically charged ions (i.e. iontophoresis)-Ways in which a medication can be driven into the soft tissues through skin and promote faster healing. 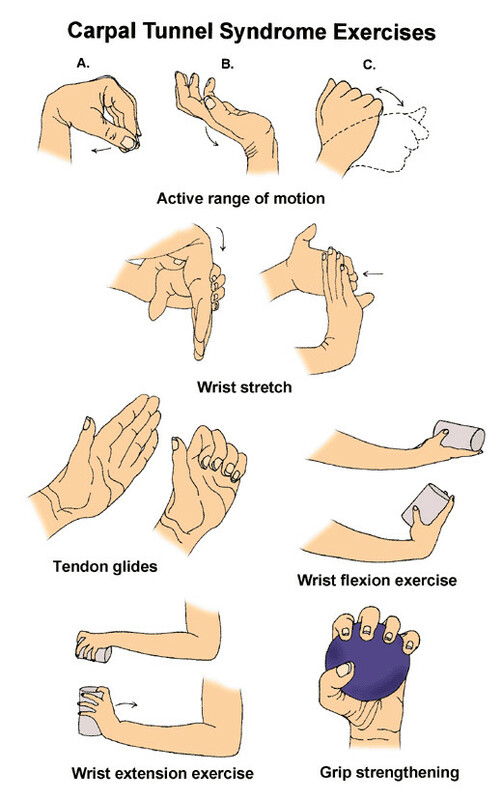 Plan and suggest activity modifications to correct abnormal position of the hand in a particular activity. Corrective exercises: Help in maintain the correct postures of the hand and thus enable better healing, promote faster rehab and aid in the prevention of further complications. Thermal modalities to promote and aid in healing. Transverse friction massage to break the adhesions. 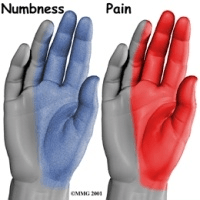 Educating the patient to either avoid or decrease repetitive hand motions, such as pinching, wringing, turning, twisting or grasping.. Rehabilitation exercises to prevent recurrence. A home-exercise program for the maintenance of the goals achieved by the physical therapist and hence aid in faster recovery of function..
What is deQuervain’s Syndrome ? It is the tenosynovitis (inflammation of the fluid-filled sheath called the synovium that surrounds a tendon and helps them glide easily) of the two tendons that control movement of the thumb. 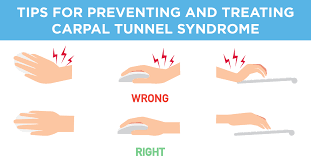 Inflammation results in pain, swelling and constricted movement of the tendons within the tunnel on the side of your wrist (Base of thumb). The swollen tendons and their coverings rub against the narrow tunnel through which they pass. The result is pain at the base of the thumb. At first, the only sign of trouble may be soreness on the thumb side of the forearm, near the wrist. 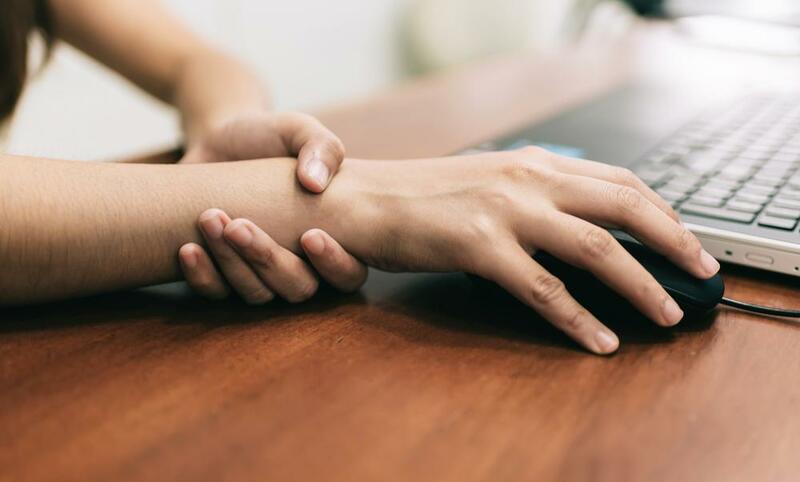 If the problem isn’t treated, pain may spread up the forearm or further down into the wrist or both and thumb and limit your range of motion. As the friction increases, the two tendons may actually begin to squeak as they move through the constricted tunnel. This noise is called crepitus. It is pai nful especially when you turn your wrist, grasp anything or make fist..
de Quervain’s tenosynovitis is basically a combination of overuse, repetitive movements e.g. ; racket sports, hammering and poor hand on wrist posture. It can be idiopathic (has no specific cause). Repeated hand and thumb motions such as grasping, pinching, squeezing, or wringing may lead to the inflammation of tenosynovium. Holding your hand at an angle to your wrist creates a compression point that excessively rubs the tendon. This inflammation can lead to swelling, which restricts the smooth gliding action of the tendons within the tunnel. Scar tissue from a previous injury can make it difficult for the tendons to slide easily through the tunnel. Arthritic diseases that affect the whole body, such as rheumatoid arthritis, can also cause tenosynovitis in the thumb. Physiotherapy treatment reduces inflammation and accelerates healing. improve strength, range of motion and endurance and correct postural and muscle imbalance which in turn prevents recurrence of condition. 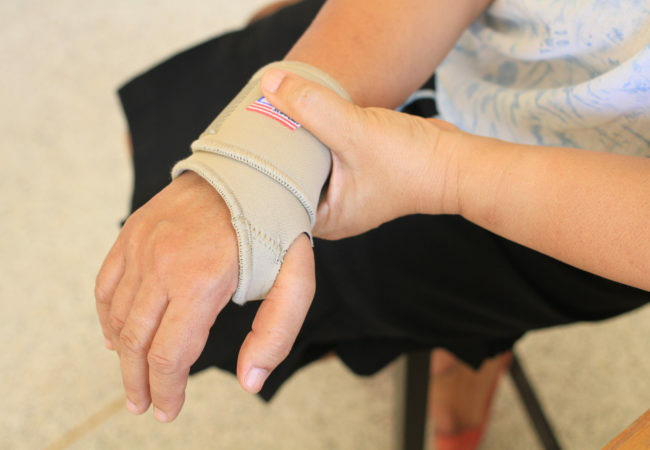 Ergonomic corrections and activity modifications prevent various other injuries of hand and wrist along with deQuervains. Physiotherapy rehabilitation exercises helps to restart all activities early. Recovery is rapid if you start treatment in early stages. Chronic condition takes time as lot of changes like adhesion formations, Muscle weakness take place. But one can expect full recovery with the rehabilitation program completion. Pregnant ladies and post-delivery mothers are affected more often. Contributory factors may include hormonal changes, fluid retention and – more debatably – lifting (baby).